Welcome back. My last episode ended with a Flash Gordenesque cliff hanger. More questions than answers. And now, to put you out of your misery, come all the answers. Let’s begin by examining the question of “Why is the Shanghan Zabing Lun written in the style of someone who has been to one too many Grateful Dead concerts?” The answer is as follows. It was done to restrict knowledge. “But why would someone want to restrict medical knowledge?” I hear you all shout. If you are writing a medical classic that is to be used to heal, but contains knowledge that could be used to make immense profit and could be manipulated by folks with baser motivations than the selfless desire to help others, then you have to be pretty darn careful who reads it. Also you want to deter complete idiots from the idea of practicing medicine. The text is actually written in a form of code. I will refrain from a 20,000 word explanation of this (available in my forthcoming book, A History of German Stand Up Comedy), but suffice it to say if you possess the correct ideas or keys, the text changes into a book that can be easily read. So, as the story goes, if it was judged that you were of sound mind and good heart, a teacher would elucidate, with the help of a few drinks, the keys and therefore the method of the book. Otherwise, its essence would be hidden regardless of the time one spent trying to read it. Once transmitted, the student then studied for about 10 years and hey, presto, the knowledge would open itself to the reader. This is actually what happened to me. Now to the second why. Why did the Chinese need a third classic when the knowledge of the first two seemed to cover all there was to know about medicine? The answer to this is that something happened in the Han dynasty that had never happened before to this culture: the Chinese people became organized. And with organization came wealth. And with wealth came something the Han could never of predicted, diseases of wealth. People, for the first time were prone to diseases and conditions that reflected an increase in wealth, food, and lifespan. People living to 50 or even 70 years in the Han era were going to start experiencing the diseases we commonly see today. The physicians of the day were at a loss to know what to do with the situation that confronted them. They realized that the landscape of medicine had changed, and to adapt, a new direction or philosophy would be required. And so they sat, they thought, they compiled, and then they created a new perspective on healthcare. It was an idea so elegant and practical that it has never been equaled. Blog text is Copyright ©The Gilbert Clinic, Inc., 2014. Excerpts and links are allowed with credit and direction to original content. For full text reprint permission or a medical consultation with Jonathan Gilbert, contact us at (301) 215-4177 or info@thegilbertclinic.com. 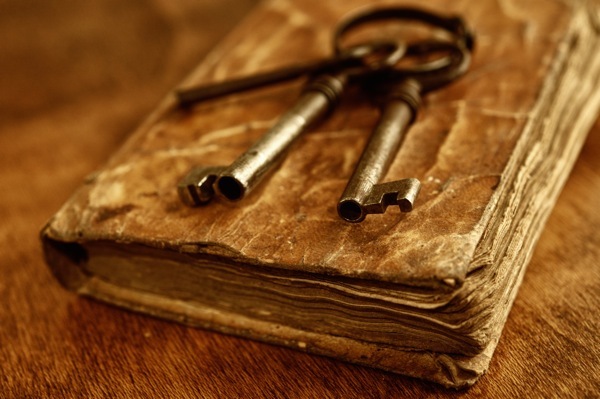 Image credit: old metal keys on vintage book image ©Nejron Photo / Adobe Stock.